My long journey’s end came 16 months after we opened the envelope containing a photo of a tiny boy, and three days after I pushed a suitcase and stroller toward airport security. Finally on my way to meet our new son, I had given a jubilant thumbs-up to my husband and daughter and waved goodbye. But the little boy for whom I’d waited so long had clearly not been waiting for me. He twisted his body away from me and hid his face in the girl’s shoulder. He was a few days shy of 18 months, old enough to know that something was up, but too young to understand what it was. That day and the next, he warily allowed me to hold him, but his small chest heaved with deep, quiet sobs. In the passport photo taken just before the ceremony that made him my son, I saw the saddest, most frightened little boy in the world…. 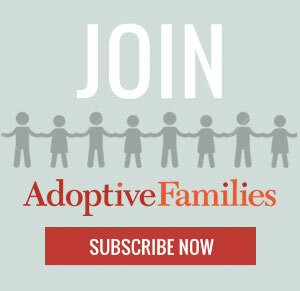 I wish I had this article 2 years ago for our toddler adoption. I can read it and say, yes that happened to us. This article should be presented to anyone considering toddler adoption. The only thing I can say is you can’t always prepare like when you are the one who gets the child first after they are removed from the abusive situation. It’s a double whammy when the child is physically injured and also a toddler adjusting to a new home. And it takes time. We are still dealing with the toddler adjustment 15 months later and post-adoption.